Definition at line 6 of file CREExperienceWindow.h. 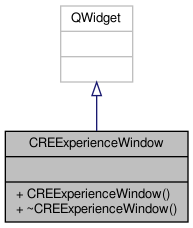 Definition at line 11 of file CREExperienceWindow.cpp. References levels, Settings::max_level, and settings. Definition at line 38 of file CREExperienceWindow.cpp.